Companies or business entities conducting activities or work on any Woolworths Limited site must register with the Woolworths Limited Contractor Safety Management System. This involves registering with and logging into the online registration portal, which is managed by Pegasus. Based on the type of work that you perform on a Woolworths Limited site, you will be given a predetermined risk category of either 1A, 1B, 2, or 3. Selected categories may be required to undergo a Safety Management System (SMS) review. 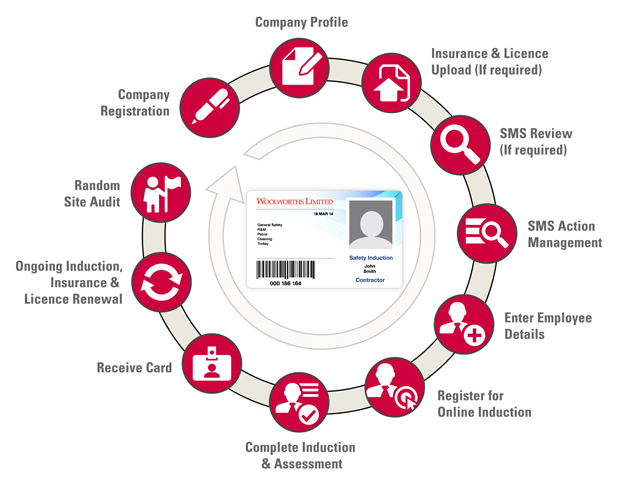 Once registered, you will also be required to preregister all employees and subcontractor employees that undertake work on Woolworths Limited sites, to enable them to complete the Woolworths Limited Online Safety Induction. All employees and subcontractor employees must be inducted prior to attending any Woolworths Limited site. To start, click Register Now.